Sometimes the soft tissue inside a tooth that contains nerves and blood vessels can become infected due to physical irritation or trauma. If this happens, it will be necessary to perform a root canal treatment. It’s understandable you’d be concerned, maybe even scared, about the possibility of having a root canal procedure. Over the years, root canals have become synonymous with serious pain; but they’ve actually come a long way. New technology now enables us to to perform the procedure virtually pain-free. And once the root canal procedure is complete, it’s likely you’ll be free of pain afterwards, too! 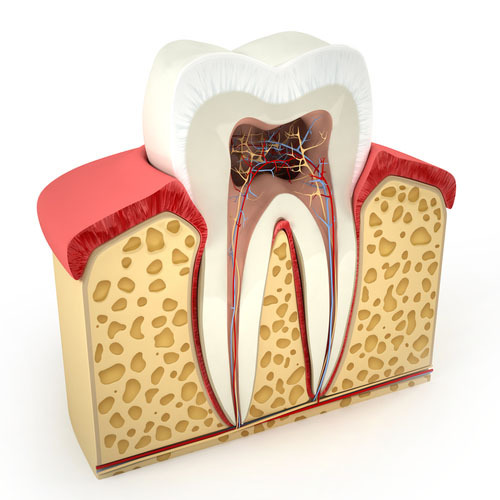 Root canals are needed when a dental infection, or tooth decay, reaches the pulp chamber of the tooth. The infection destroys the nerves located within the root of the tooth, eventually causing the tooth to die. Years ago, the only option for this type of dental problem was a tooth extraction. Now, thanks to dental technology, dentists can save your tooth even there’s a major infection! If you have symptoms of an infection in your root canals, don’t ignore them! The goal is to save your tooth rather than extract it, and with good reason. Missing teeth can cause bite problems, shifting teeth and jawbone loss. On the other hand, root canals are 95 percent effective, and a successful procedure can help you keep that tooth for a lifetime and prevent other dental problems.